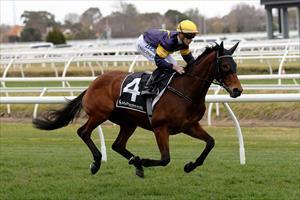 Vengeur Masque continues his Cups campaign when he runs in the Bart Cummings at Flemington on Saturday. Vengeur Masque runs in race seven, The Bart Cummings (Group 3 ) over 2500m with Patrick Moloney riding and to jump from barrier nine after scratchings. It will be the third start this preparation for the import, who finished 10th but only beaten three lengths in the Group 3 Naturalism Stakes over 2000m at Caulfield at his last start on September 22. “We are very happy with him, he looks terrific,” Mike Moroney said. “He’s done plenty of work to be ready for these longer races as we start to get more competitive. “There looks to be a lot of speed in the race so I think he should be able to get across and hopefully find some cover in the middle of the field. “He’s still got some improvement in him and whatever he does here he will improve on but I’m expecting him to be running on at the finish.